The current digital era is flooded with devices having high processing and networking capabilities. Sharing of information, learning and adaptation in such highly distributed systems can greatly enhance their performance and utility. However, achieving the same in the presence of asynchronous entities is a complex affair. Multi-agent system paradigms possess intrinsic similarities with these distributed systems and thus provide a fitting platform to solve the problems within. Traditional approaches to efficient information sharing and learning among autonomous agents in distributed environments incur high communication overheads. Non-conventional tactics based on social insect colonies provide natural solutions for transfer of social information in highly distributed and dense populations. 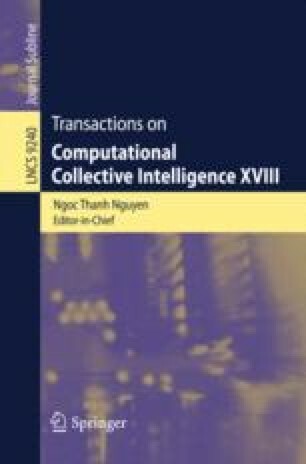 This paper portrays a framework to achieve distributed and asynchronous sharing of intelligence and consequent learning among the entities of a networked distributed system. This framework couples localized communication with the available multi-agent technologies to realize asynchronous intelligence-sharing and learning. The framework takes in a user-defined objective together with a learning algorithm as inputs and facilitates cooperative learning among the agents using the mechanisms embedded within. The proposed framework has been implemented using Typhon agent framework over a LAN. The results obtained from the experiments performed using both static and dynamic LANs, substantiate the applicability of the proposed framework in real distributed mobile computing environments. The first author would like to acknowledge Tata Consultancy Services (TCS) and Ministry of Human Resource Development, Govt. of India for the support rendered during the research reported in this paper.